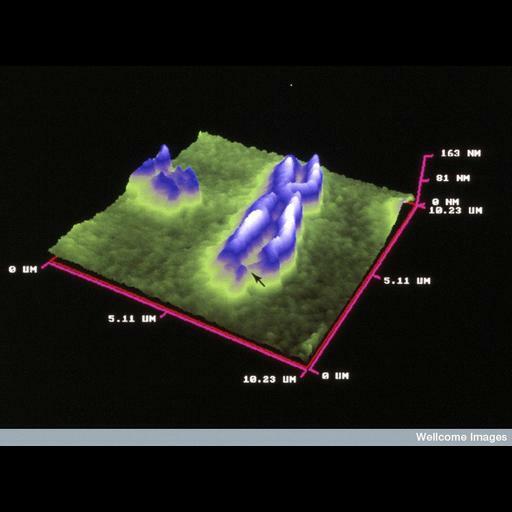 Fragile X chromosome made visible by atomic force microscopy (AFM). The arrow indicates the fragile site. Additional AFM chromosome images are available as CIL 38987, 39000, and 38915.